Founded in 2004, Preferred Market Solutions, LLC. is a leading provider of Loyalty Program and Gift Card Program software and services throughout the United States, Canada and abroad. 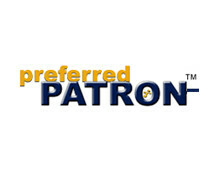 Their Preferred Patron™ loyalty platform is an all-inclusive Loyalty Program re-enforced with strategic, targeted marketing communications (Email, SMS Text Marketing, Mobile Messaging and Direct Mail), transforming customer relationships into loyal behaviors for more repeat business and more word-of-mouth referrals.